A Promotional Keychain is an efficient way to boost your business. Slap on your logo and keep your brand on display. The concept is pretty simple yet it is very efficient. In fact, a lot of brands have been successful with this strategy. Having an upcoming event for your brand? Or is your team joining a marketing event? Perhaps, you would like to give out promotional keychains as trade show marketing gift? Surely, everyone would love to receive custom key chains from your company. How Can This Promotion Help Brands? Customised keychains offer a variety of advertising opportunities. Not only will customers be able to conveniently keep their keys with them, but they will also get to be exposed with the brand each time they use it. Every time your clients open the door, start a car, etc. they’ll automatically remember your brand. This decorative accessory is a great gift with purchase. 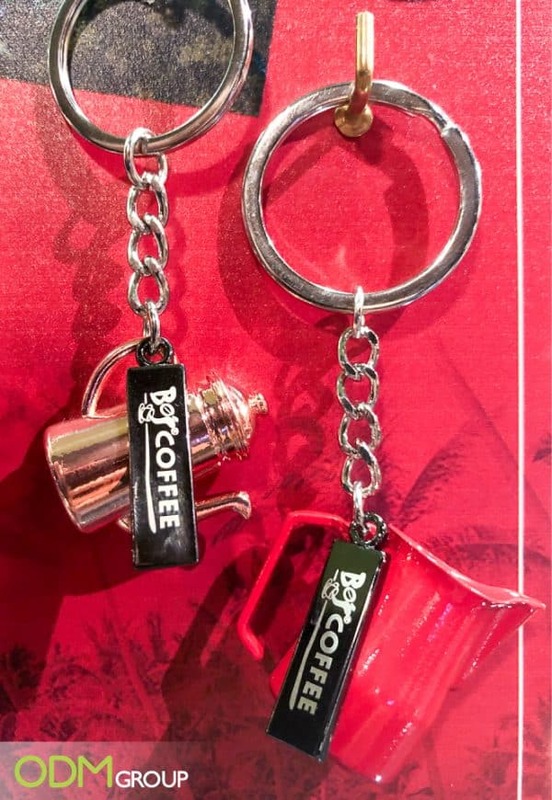 In our example, Bo’s coffee offers customers miniature coffee equipment as a keychain. They look so cute and trendy. Anyone would love to hang these with their keys or purses. Customers will receive this promo gift once the customer has purchased a certain amount. The concept is really easy to execute. A quality gift item plus easy mechanics would always equate to a successful marketing campaign. Why Do We Love This Promotion From Bo’s? Affordable – The custom chains are budget-friendly promotional items. This means that this won’t require huge marketing budget. Brands could reproduce a lot of these items for better marketing with low cost. Unique design – Obviously, the designs are so creative and unique. Clearly, you can see that Bo’s Coffee’s marketing team carefully gave this marketing campaign a good thought and it really shows with the quality of the promotion. 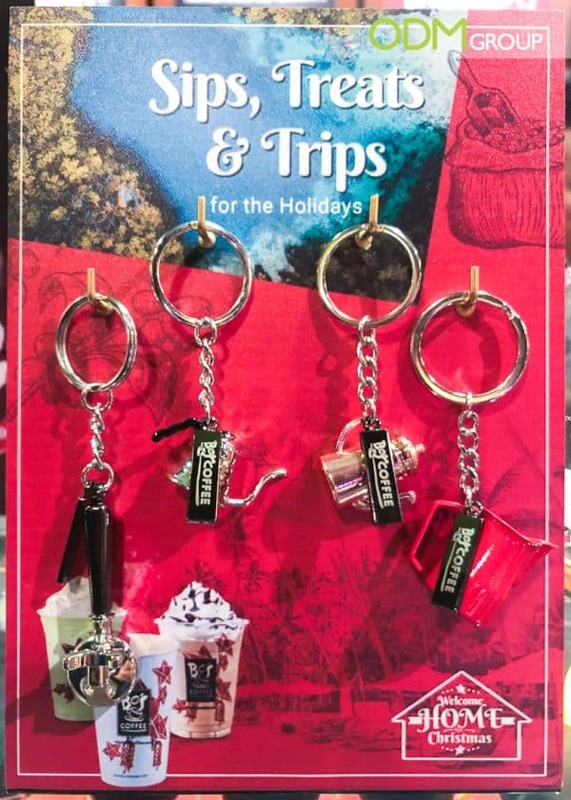 In conclusion, these promotional keychains are one of the best things that we have seen thus far. Such promotion is easy to pull off, designs are attractive, and they don’t cost much. Therefore, it’s a cost-efficient and effective way to promote your brand. Would a promotional keychain help your marketing project? Feel free to contact ODM. Our team of product designers will help you find the perfect design for your next killer promotional item. We are an expert in manufacturing and marketing and we can definitely help you with any of your promotional concerns. Stress balls have a great branding surface to brand your logo on it. Make your clients happy with this customizable leather keychains and improve your promotional campaign. We would like to present an interesting promotional product – Stylish LED Key Chains.